A late 19th century bronze group of two maidens. The well cast figures standing on a naturalistic rectangular base, holding a posy of flowers in one hand the other outstretched with a single flower bud. 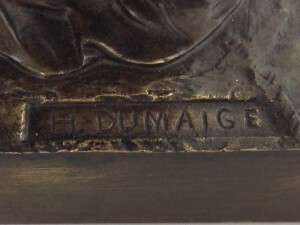 Cast signature to base. 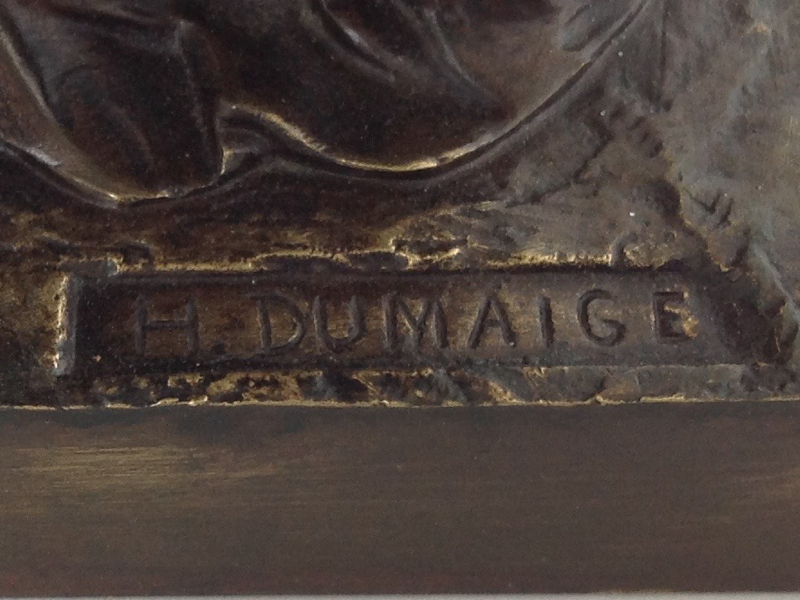 A pupil of Feuchre and Dumont, Etienne-Henri Dumaige (1830-1888) exhibited at the Paris Salon from 1863 to 1886.